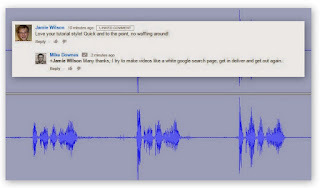 mike downes - we make videos to help people learn: News and how to use this site? If you know what you're looking for, type a word or two in the search box on the right. 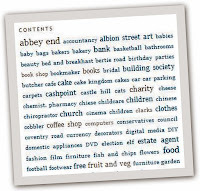 If you are just looking, click on word from the tag cloud (this is the A-Z contents of the site - the more times a phrase is indexed, the larger the font becomes). There is also a list of the most recent posts (also on the right). You can scroll down to the site archive and see all the 130+ posts in date order. 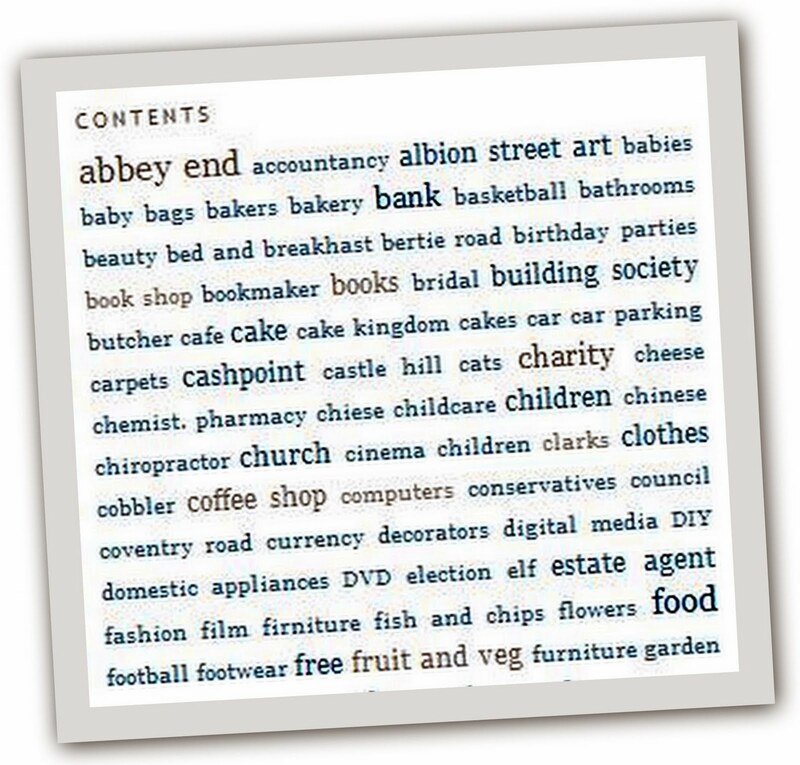 If something is missing - and I know it is, just let me know (I will not stop until I answer all of What's in Kenilworth? 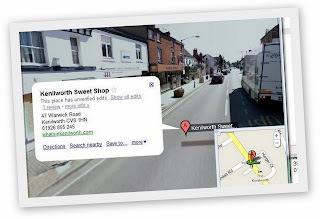 I am pleased to say that Google are indexing these posts with Google Street View showing as limited augmented reality, for example, see the road outside the Sweet Shop. Data from the sites tell me people are looking at pages here for just over 6 minutes and at nearly a thousand page views, the site is growing in readership quite well. Remember, most people will see pages from websites these days without ever going past the front page. This site is written as a blog and every single word is Google searchable - try it for your self from search page on this page or any Google search box on a mobile, laptop or pc. I know Google's page rank sorts pages and sites, but look at the way this site is moving up the Google rankings - it is doing well without any SEO or clever web page techniques (and there are many). My advice, get a message, say it and Google will find you - it's that simple and that's it. I will and can show you how. I am a teacher by trade, but have used the web since it started - I find it easy, but as I have said before, I know others do not and I will help you. I would like to put a group together to meet in person to help everyone blog and web publish. 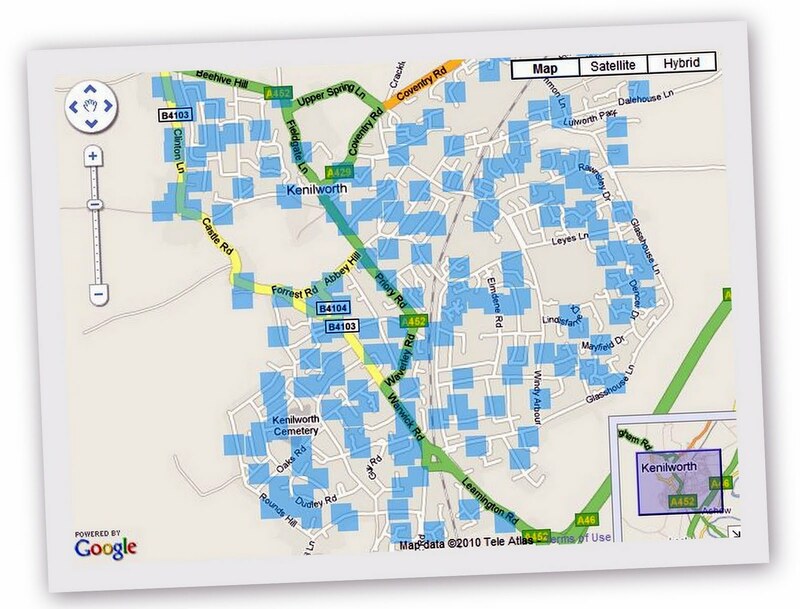 If you want to know more email me at info@whatsinkenilworth.com My idea is to meet anywhere in Kenilworth that has free wifi - that's Costa, Pizza Pizzo, Starbucks and maybe The Virgins and Castle (when I check it out). 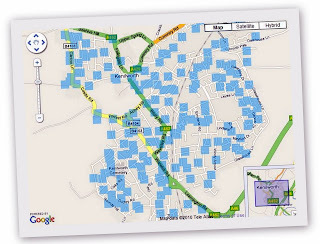 BT have a great way for home users to share their wifi signal, see at www.btfon.com - see the photo on the right for a quick map. It seems the UK is short on good bloggers. It is the new way of mass amateurisation. In other words, anyone can be anything they like armed with a mobile phone, laptop and some web access. Take a look at my Google Profile and see what Pete Cashmore is all about - ever heard of him? I thought not. To be well known bloggers you must be known as a result of doing something on the web, not as a result of something else. For example, Stephen Fry is well known on Twitter etc, but he was a comedian/actor first. Martin Lewis from the www.moneysavingexpert.com is known because of his website. Martin is a financial journalist, so he may not count either. If you want to know more see the Forbes Web 25 or even the Top 100 Blogs in the world. Look at number 3, it's www.mashable.com run by Pete Cashmore. I do not use mashable, I prefer www.digg.com as Kevin Rose blogs and videoblogs about how he's done it all, see kevinrose.com. Also, remember any text that is blue is a link to something else, for example, the word 'augmented reality' above links to the Wikipedia page: http://en.wikipedia.org/wiki/Augmented_reality which describes what that subject is all about. Great, because the key words in this digital age are clickable, searchable and linkable - and if you are not any of those, Google will not find you. I think of the internet these days as Google because at at 63-90% of a market share (it depends where you get these percentages - just Google Market share for yourself). If I have not bored you already - head on over to The Mike Downes Page and see some of the books I've read and ideas I have. See you there.